Let’s find ways to heal your body using the healthcare resources available to you. I can be your guide through our medical system. There are effective, proven strategies we can use outside of what the current medical system offers. Answer your health related questions. Help you navigate the health care system so you can get the best care possible. Give you the resources you need to eat right and decrease your pain. Prioritize your health related issues. Listen to your health concerns to help you take charge and advocate for your health. Cancellation Policy: If you are unable to keep your appointment please give at least 1 business days notice to ensure you are not charged for the full cost of the session. Heather Tick health session services are currently not available for residents of Washington State. 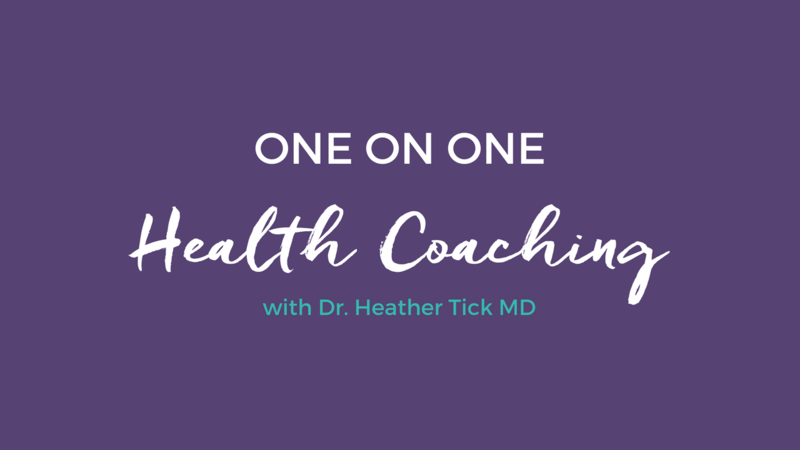 Heather Tick health sessions are currently not available for residents of Washington State. The information on this website is provided for educational purposes only and is not intended to be a substitute for the medical advice, diagnosis or treatment, provided by your physician or other qualified healthcare professionals. You should always speak with your physician or other healthcare professional before taking any medication or nutritional, herbal or homeopathic supplement, or adopting any treatment for a health problem. If you have or suspect that you have a medical problem, seek the advice of your healthcare providers. No expressed or implied guarantee of positive effects resulting from your use of or reliance upon any information contained in this video is given nor does Dr. Tick assume or accept any liability whatsoever. Dr. Tick, during these online sessions, does not dispense medical advice and your use of this service does not in any way establish a doctor / patient relationship between yourself and Dr. Tick. The privacy of these educational sessions is subject to the limitations in privacy inherent with all electronic communications, such as email. If you chose to communicate confidential information by email, telephone or other online communication you are consenting to the associated risk. Please note electronic communications can be subject to surveillance and is therefore not secure and I/we therefore cannot guarantee that information transmitted will remain confidential.